Joshua with his first Wahoo! Wahoo are another one of the popular big game fish here in the Philippines. They are abundant through out the islands ranging in size from small juveniles to large adults. Wahoo are often sometimes known as Black Tangigue to distinguish them from the Spanish Mackerel or White Tangigue. These fish are most often caught while trolling large lures of fresh bait behind a boat. Wire leaders are a must when fishing for these fish or fishing in a place where these fish may be caught. They have razor sharp teeth which can easily slice through heavy monofilment and fluorocarbon line. 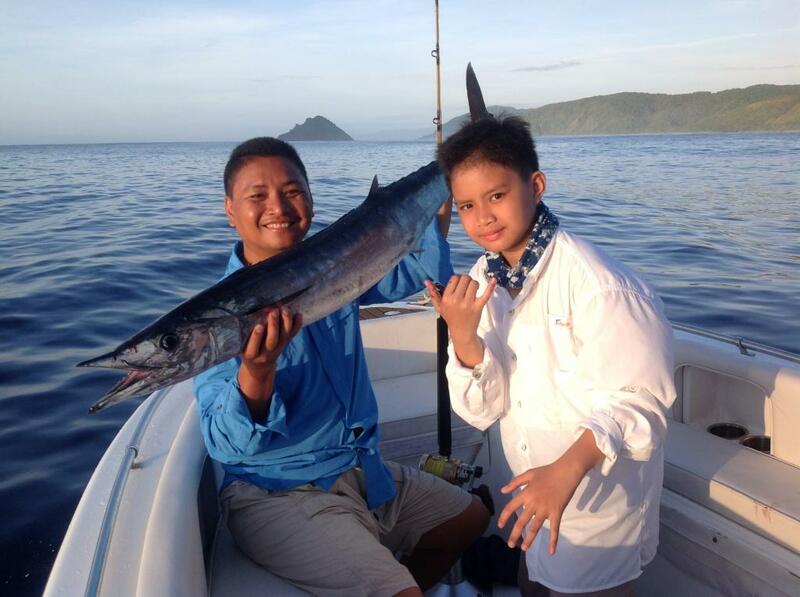 Joshua caught the Wahoo in the picture above in northern Luzon while trolling. Notice the beak-like mouth which helps distinguish it from the Spanish Mackerel. Posted on June 3, 2013, in Mackerel (Tangigue). Bookmark the permalink. Leave a comment.